DON'T abandon the Kingswood area – that's the plea to South Gloucestershire Council after it revealed that is considering moving out of the civic centre. Officers are investigating switching council meetings as well as many jobs and back office services to its headquarters in Badminton Road, Yate, to save money. The ruling Conservatives have asked for the study, saying that they want to give frontline services priority over empty offices. 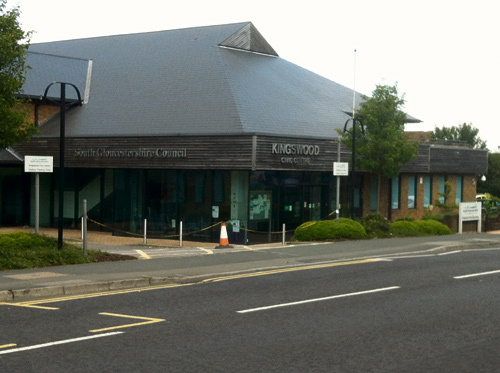 They have promised that services such as the library and One Stop Shop will remain in Kingswood. But Labour says the Tories are going back on a promise made four years ago that Kingswood Civic Centre was a flagship building that must be retained. Labour's Councillor Pat Rooney said: “The Kingswood building is not only important for public access but also convenient for many of its staff who live locally. Kings Chase ward has higher than average unemployment and closing down a major centre of employment in the ward is a terrible idea. The Conservative leader of the council, Councillor Matthew Riddle, said: “Both the civic centre in Kingswood and the office on Badminton Road have lots of unused space and it is wasteful of taxpayers’ money to operate that way. As such, we are now consulting our staff and opposition council groups on how we can best use the space we have, and if there is room for any savings. The study, part of the Council Savings Programme (CSP) will look at a range of options in Kingswood , including how more staff and facilities, including a council chamber, could be accommodated at Badminton Road. More details are expected in the early autumn.